ETA approved (CE marked) all round solution nylon frame fixing for solid and hollow building materials. 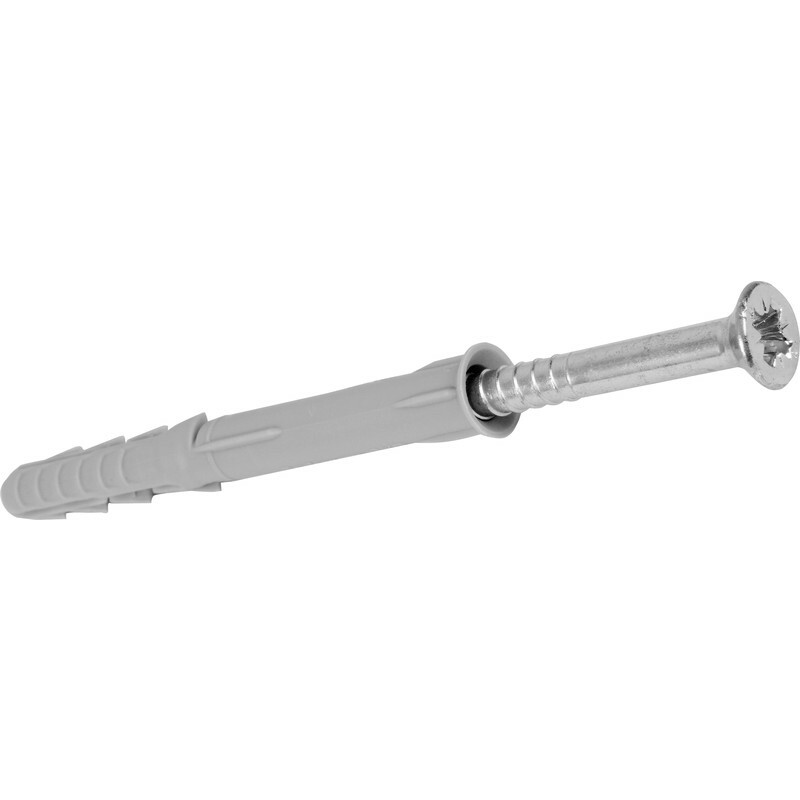 Zinc-plated countersunk steel screw, easy push-through installation. R90 fire resistance classification. Fischer SXR-Z Frame Fixing 8 x 80mm (50 Pack) is rated 4.7 out of 5 by 12. Rated 5 out of 5 by Carrott from Does the job Pretty simple to fit. I did find that the fixings were tight in an 8mm hole (woodwork and brick), so I set the sleeve before fitting the screw. PZ3 head was a good fit on my driver and there were no problems with chewing the head up or breakage. Rated 5 out of 5 by DiyTrier from Great product, excellent service Bought to hang kitchen cabintes to light weight block wall. Just the job! Rated 5 out of 5 by rockfish from Excellent quality; Toolstation Solihull 10/10 Bought to secure double radiator to block work wall with 60mm insulation and plasterboard on inside (hence need for 160mm fixings). Used 3 per bracket + supported at base - very solid fixing. Rated 5 out of 5 by Garden and Fence Ltd from Fischer SXR-Z Frame Fixing Bought 3 sizes and all excellent. Rated 3 out of 5 by Raddders from Screw material soft Got these fishers rather than the cheaper unknown brands but was disappointed to find the screws very soft and burred easy even using dura diamond bit.